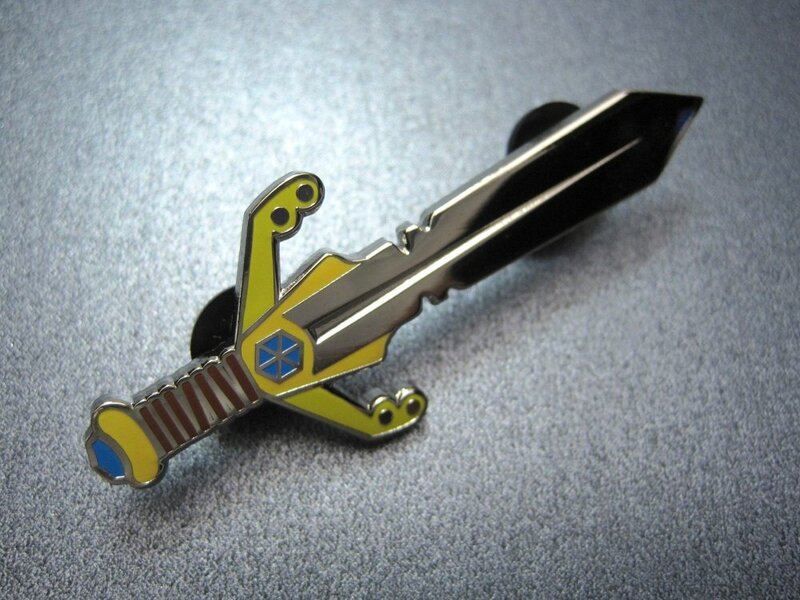 My Magic Sword hard enamel pin wards off evil and adds +1 to any outfit! 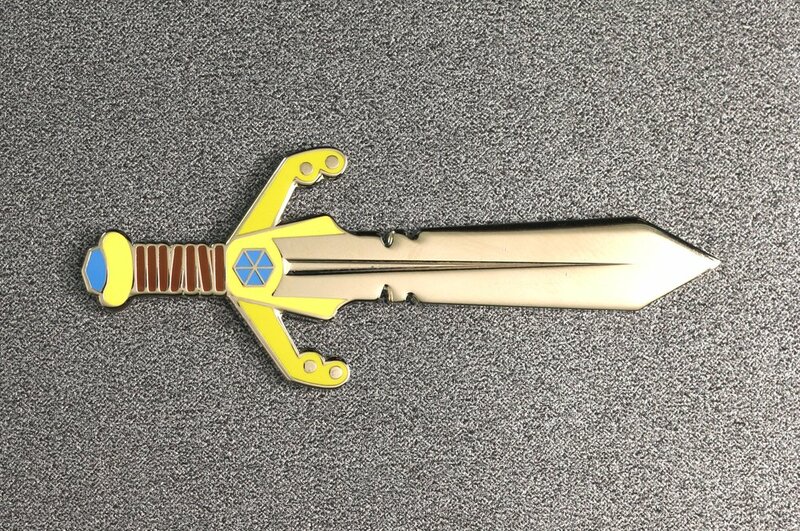 This is a mighty pin indeed, measuring 2.5" tall and 2.5mm thick. Shiny nickel plating with hard enamel color fills. Comes to you carded and bagged.